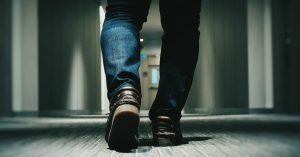 “I Need a Break from our Conversation”: When and How to Walk Away - Turning Point Resolutions Inc.
Posted on November 14, 2017 by Turning Point Resolutions Inc. Most adults know that there is no reasoning with a child in the heat of a temper tantrum. What if we applied this same understanding to adults in conflict? What if we accepted that adults tantrum too and at times are not open to rational dialogue? 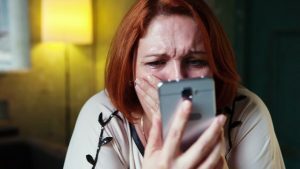 What if we accepted that each one of us can tantrum and needs a way out before we demonstrate a full blown explosion whether it be in person, on the phone or via text? At our most rational, we know that erupting leads to a false sense of relief, as the damage is often greater than any gain achieved from letting the other person have it. So when do we walk away? How do we walk away so that we can actually come back later? You can see your ability to remain rational is compromised. Your body is giving you cues that you are losing control. The other party is escalating beyond a place of rationality. You can hear it in their voice or see it in their face and body movements or in the intensity of their responses. You have set a limit on problematic behaviour and the behaviour is continuing. You can reasonably guess that if the conversation continues, the outcome will be negative and harmful and you need time to think to get it back on track. More information is needed before the conversation can continue. Exit the conversation and that means get up and go! Thank the other party for allowing you to take a break. Discuss what caused you to take a break. Set clear boundaries on what might work better for you in this discussion and/or state what you will do differently to ensure a productive dialogue occurs. Re-focus the conversation to the issue(s) you were originally discussing. Knowing when and how to walk away is part and parcel of healthy living.